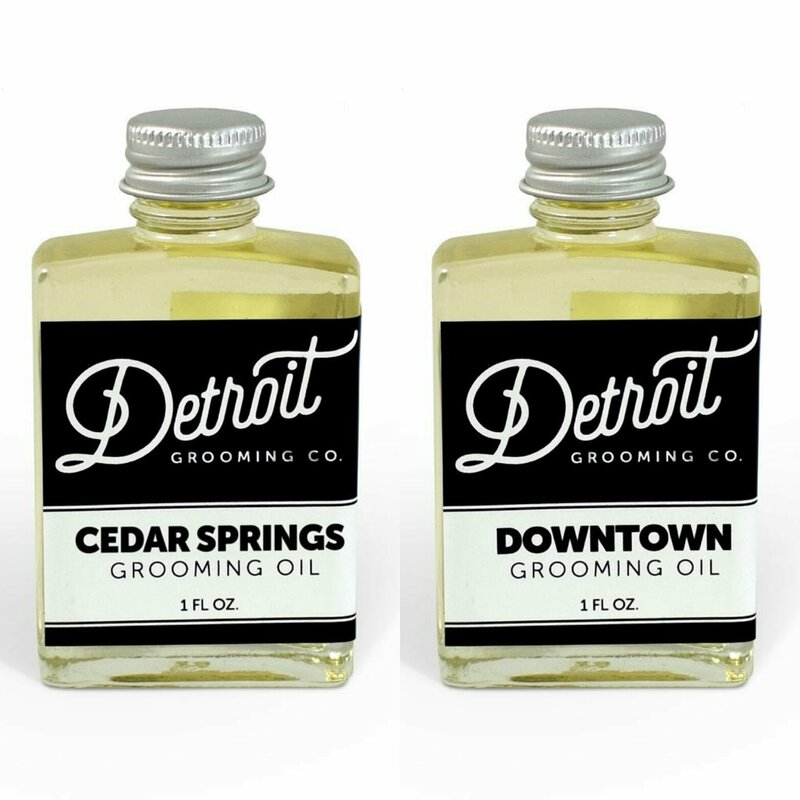 Yep a review for two products Detroit Grooming Co ‘Cedar Springs’ & ‘Downtown’ Beard Oils. I have decided to review these oils together, its not something I have done before but ‘Downtown’ is an Unscented oil and its the same base and so a separate review for ‘Downtown’ would be a couple of lines! I have reviewed quite a few oils that use Cedarwood essential oil in the blend but this is the first time that I have had an oil that is just Cedarwood, its said that it’s a powerful oil and hasanti-fungal and natural insect repellent properties, its also antiseptic, anti-seborrhoeic, and anti-inflammatory! I’m not sure what I was expecting from this oil, I think it’s was something quite woody and pine like, to be honest I don’t think we have cedarwood in Essex, UK and so I was really unsure. What I did get was a very earthy smell, it wasn’t at all woody or forest like and I’m sorry Detroit Grooming but it’s the first oil that I didn’t like. Of course this is my personal opinion of a scent and also scents can smell slightly different depending on the PH of our skin and so I after this first use I tucked the oil away. The ‘Downtown’ oil is an Unscented oil, its the oil that forms the base of all of the oils from Detroit Grooming, a blend of Sweet Almond, Vitamin E, Sunflower Seed, Safflower Seed, Rice Bran, Apricot Kernel, Avocado and Wheat Germ carrier oils. These oils will have been chosen for their different benefits for your beard hair and the skin under the beard. Finally an honest review! These blokes are all over Facebook peddling their overpriced almond oils. Hopefully more gents read your review and save their hard earned dollars and bearded from this garbage. Wish I would have been so fortunate. You can’t beat the small outfits that take spend time blending their base oil and have pride in their product.